IMCDb.org: 1937 Morris Ten-Four [Series II] in "Austin Around Britain, 1950-1964"
I guess it is a Morris 10/4, 1937+, considering the side lamps as aftermarked ones. And if the car is the first. 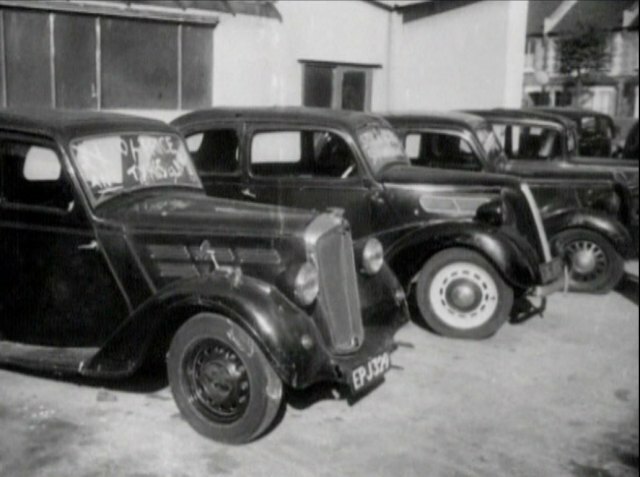 Followed by a Ford Eight 7Y, a Standard Flying Nine, and an Austin Seven Ruby.